I know, it’s not exactly an experiment, but illusions are still cool. Did you notice the small grayish dots between the black boxes. They are not part of the drawing – they were put there by your brain! Scientists call this “visual vibration.” Basically it means that when you see patterns of black and white, your eye sometimes confuses the two and blends them into patterns of gray that you see here. You are seeing something that is not really there! Whoa! Is that image spinning? Nope, not even a little bit. In fact, if you look away, it will seem to stop spinning. It’s all in your brain…. The repeated patterns and lines trick your brain into thinking that there is movement as it tries to make sense of the image. Pretty cool, huh? viewer by changing they way our brain is used to seeing things. 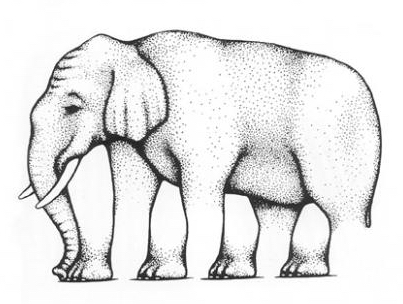 It seems the more you look at the elephant, the more confusing it gets. Want to see the gears move? Look at the dot and then move your head towards the screen and away from it. This uses visual vibrations to create a cool effect. Try moving your head close to, and then away from the screen. 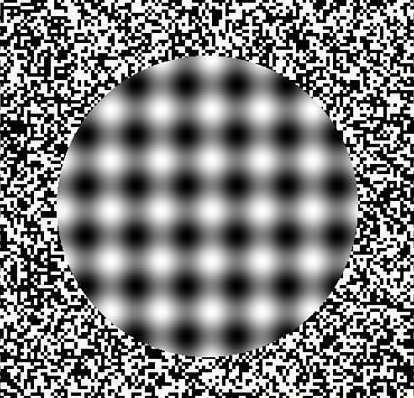 The fuzzy dots appear to move. This simple line drawing is titled, “Mother, Father, and daughter” (Fisher, 1968) because it contains the faces of all three people in the title.How many faces can you find? 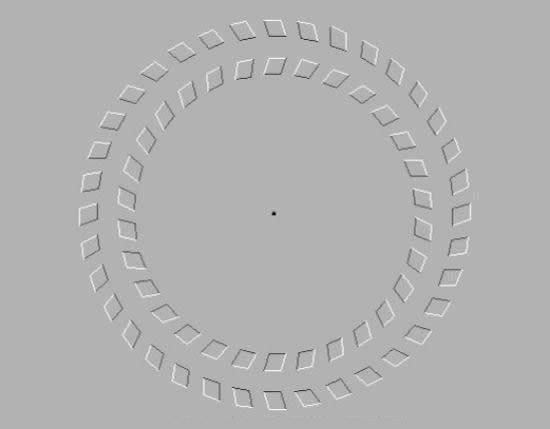 Look at the dots in the center. Which one is bigger? Like many similar illusions, the dots are the same size…really! It can be hard to tell because your eye uses the other dots to make a comparison. Check out the spiral…except it is not a spiral, just circles. Don’t believe me? Use your finger to follow the fake spiral. 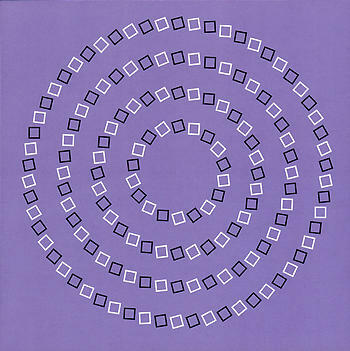 The tilt of the boxes fools your brain into believing it is a spiral. Hey, this is weird. 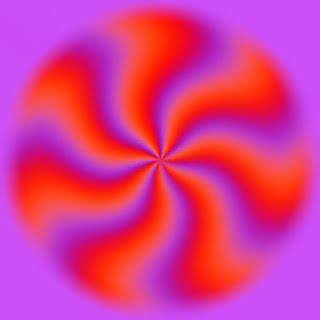 It looks as though it’s moving, but it’s not. 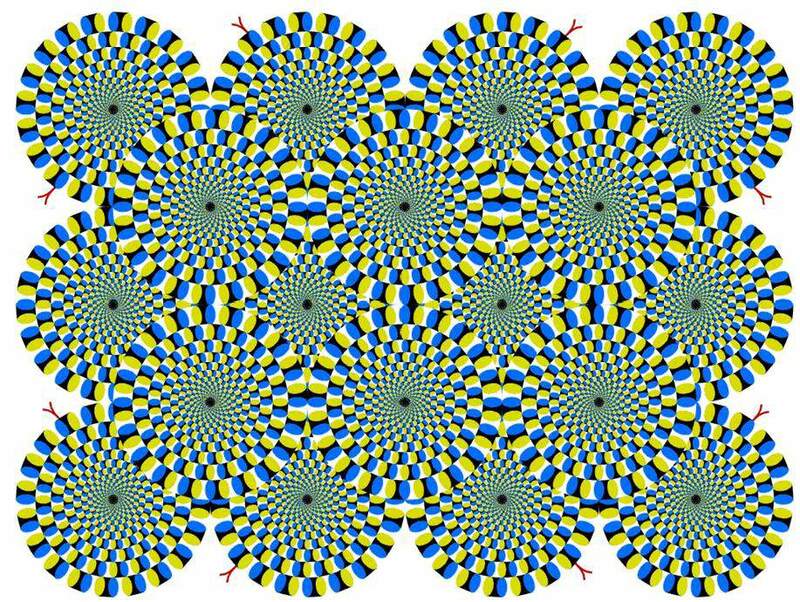 The shapes confuse the eye (really the brain) into believing that they are moving. Really its very interesting ! !